I'm looking at 17664 Merganser on www.realestateone.com.com and would like some more information. This majestic 4 bedroom colonial w/a three car garage in the prestigious Partridge Creek subdivision is everything you have been looking for. From the amazing elevation, to the open first floor plan. The kitchen is a gourmets dream w/plenty of room for a large gathering. The 4 bedrooms upstairs are large and spacious. The master bedroom has a amazing master bath and 2 walk-in closets. The laundry room is on the second floor which makes laundry convenient. Partridge Creek has a community pool and park. This brings all of the residents together and makes the subdivision like the good old days. Where neighbors know and neighbors. The basement is partially finished w/a 5th bedroom. All the building materials are included in the sale for you to complete your dream basement. The back yard has a invisible fence for all of you dog lovers. Our Michigan real estate agents can answer all of your questions about 17664 Merganser, Clinton Township MI 48038. Real Estate One, Max Broock Realtors, and J&J Realtors are part of the Real Estate One Family of Companies and dominate the Clinton Township, Michigan real estate market. 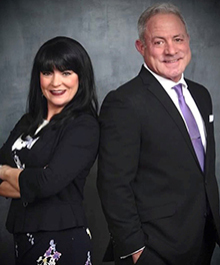 To sell or buy a home in Clinton Township, Michigan, contact our real estate agents as we know the Clinton Township, Michigan real estate market better than anyone with over 100 years of experience in Clinton Township, Michigan real estate for sale.